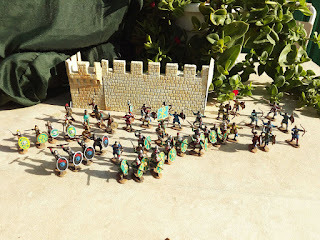 Hello again, I return after a long time without posting. 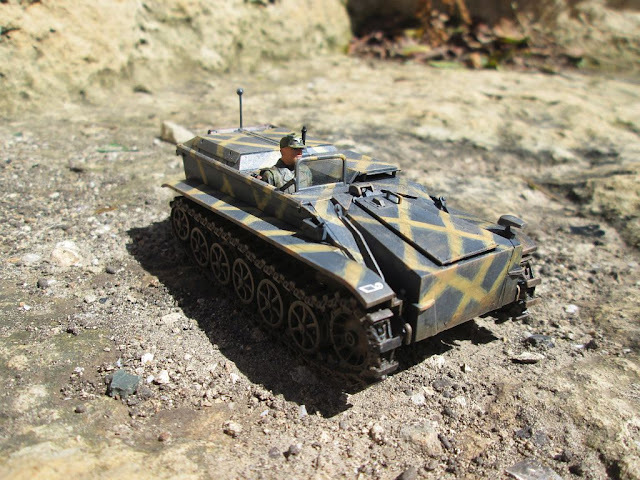 I did this kit two years ago, but didn't make photographs until this spring. 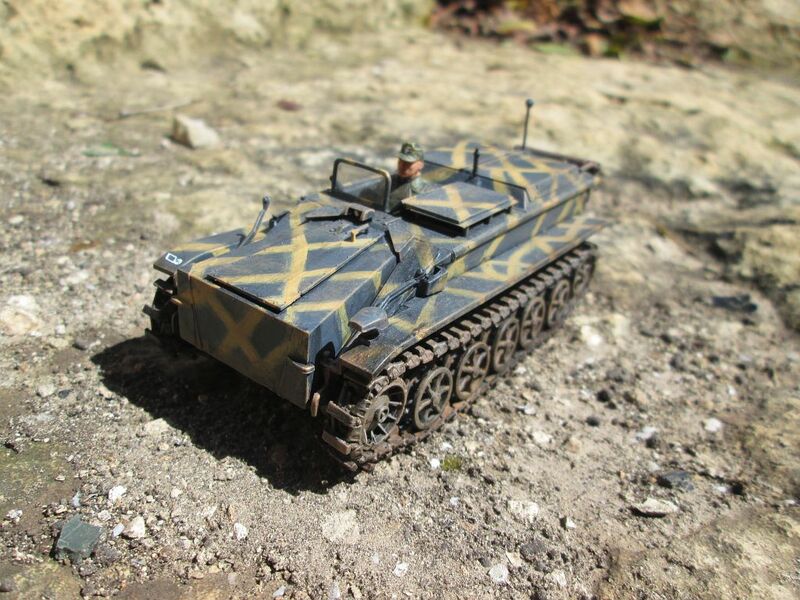 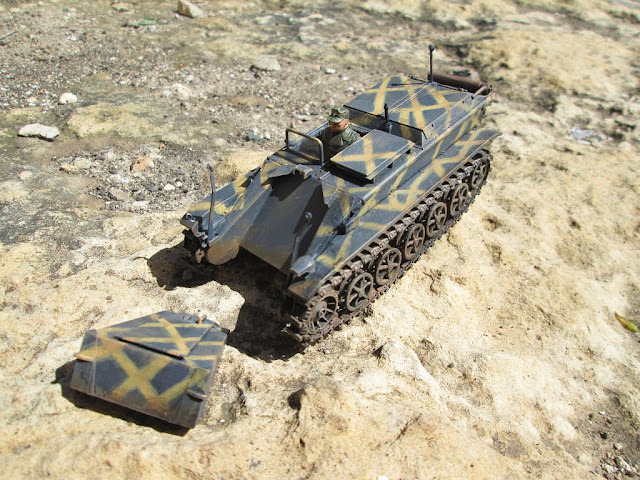 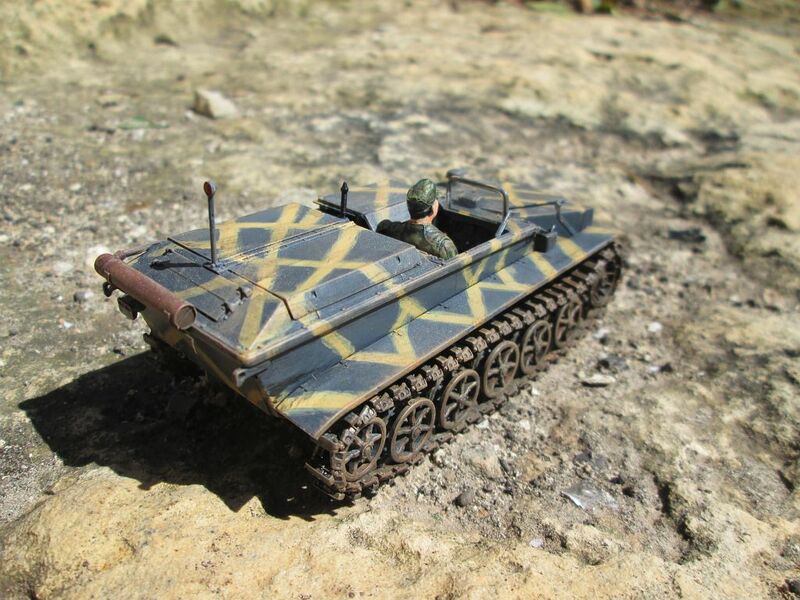 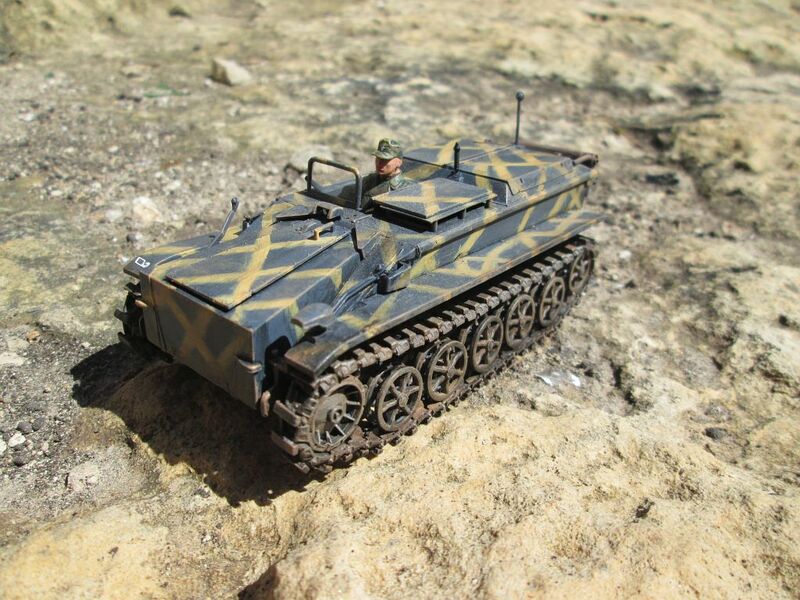 Is a Borgward IV demolition vehicle, painted with a camo as other vehicles from a regiment in Crimea in 1944. 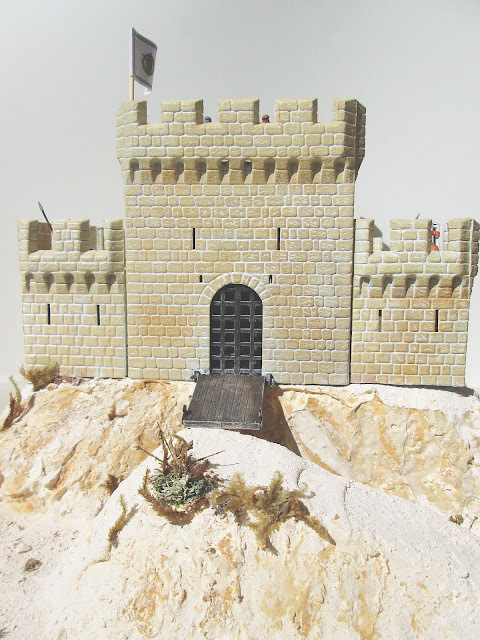 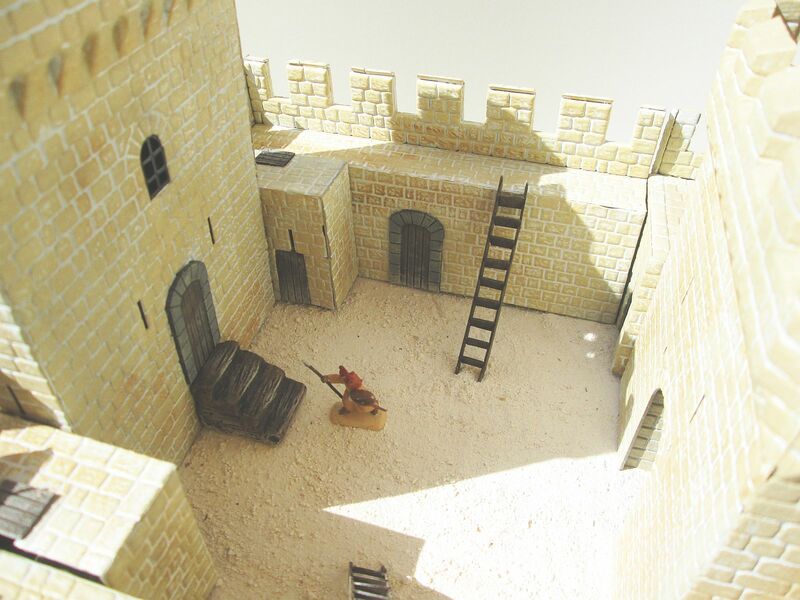 I bought this kit in a street market and decided my unbuilt stashes couldn't grow more, so I built it on a weekend along my brother. 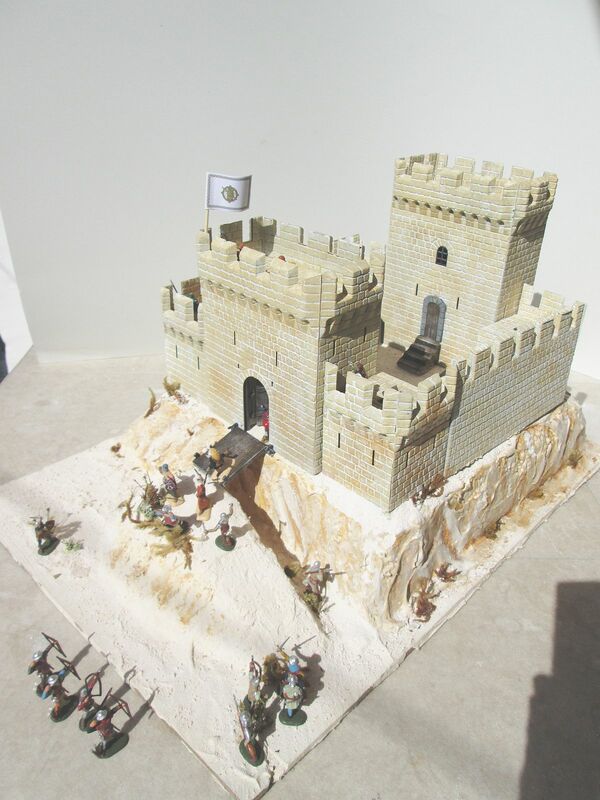 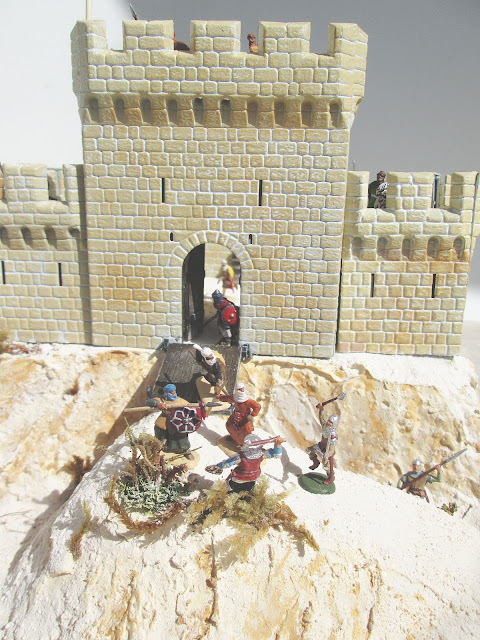 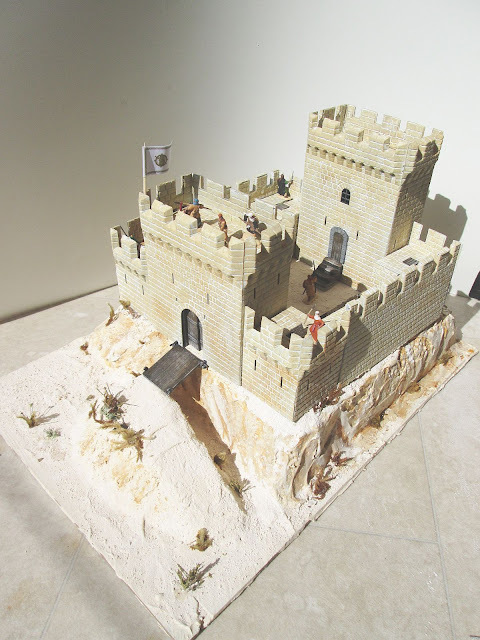 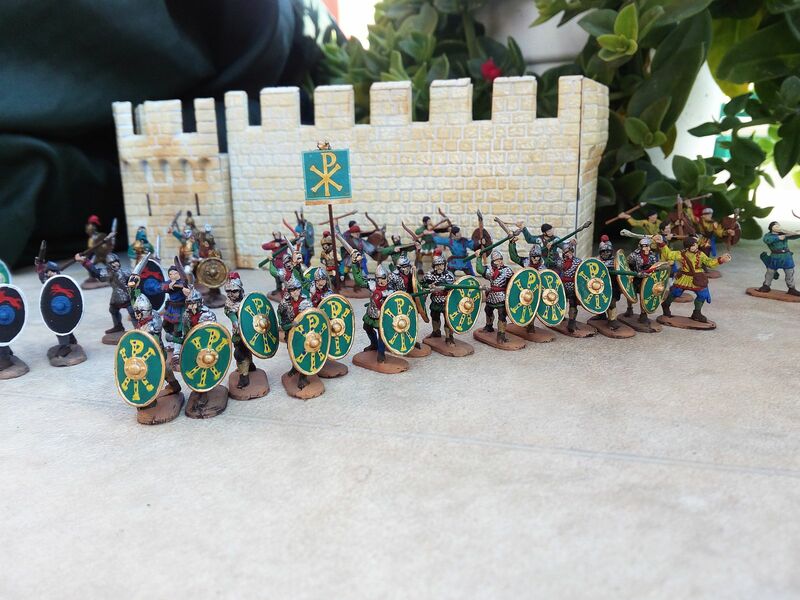 Here I show you this soldiers I've just finished, by printing their banner. 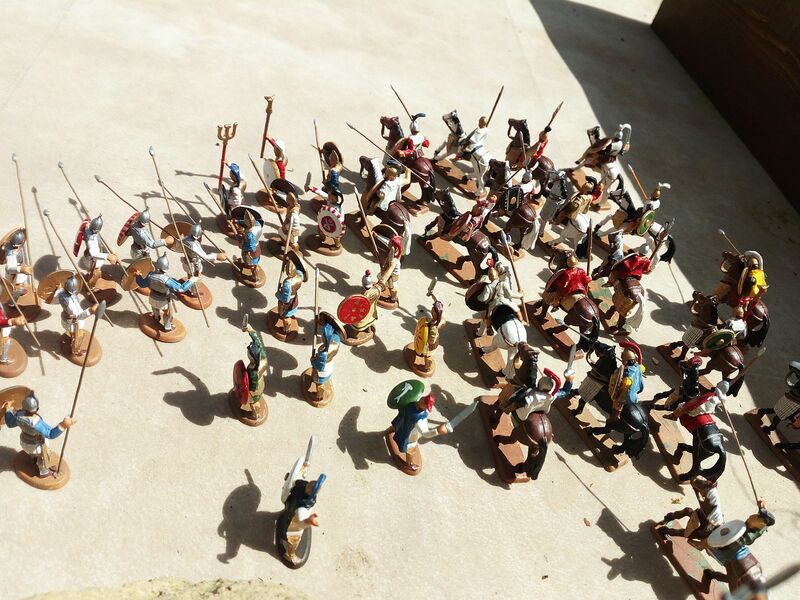 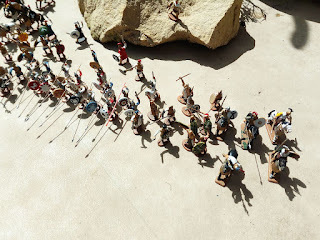 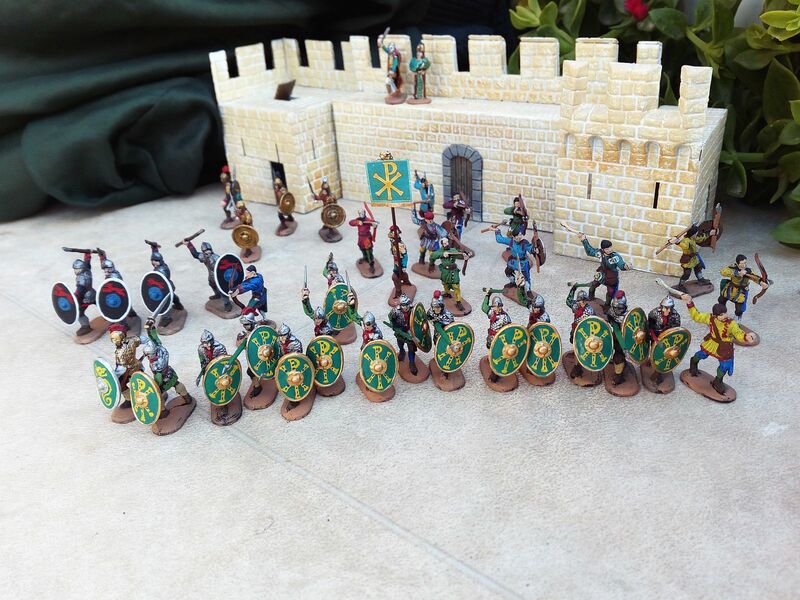 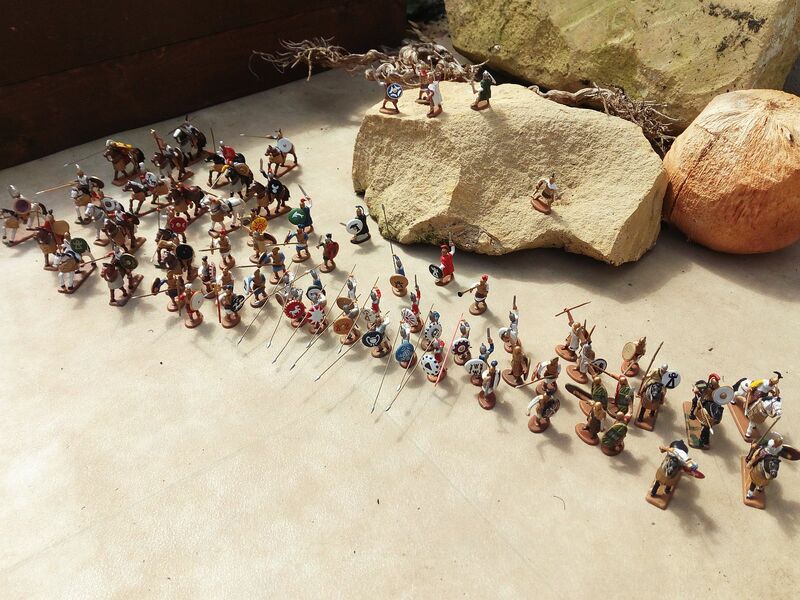 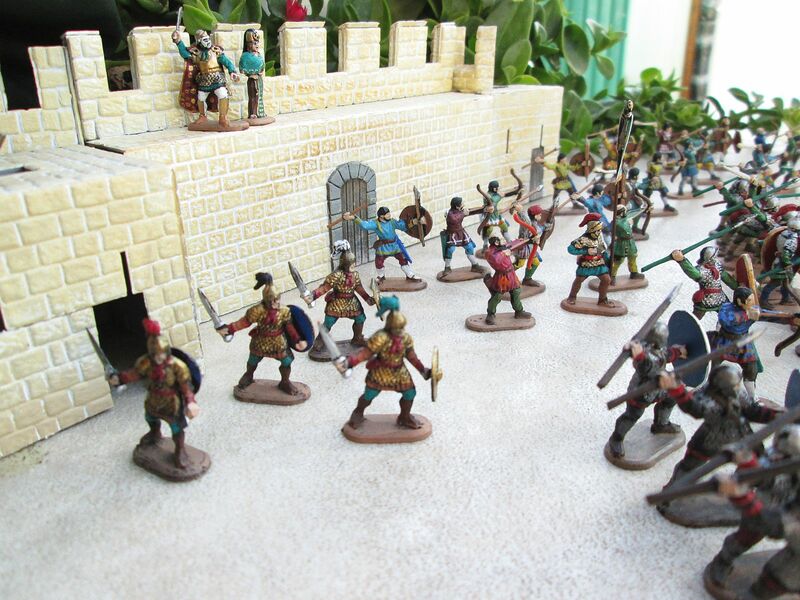 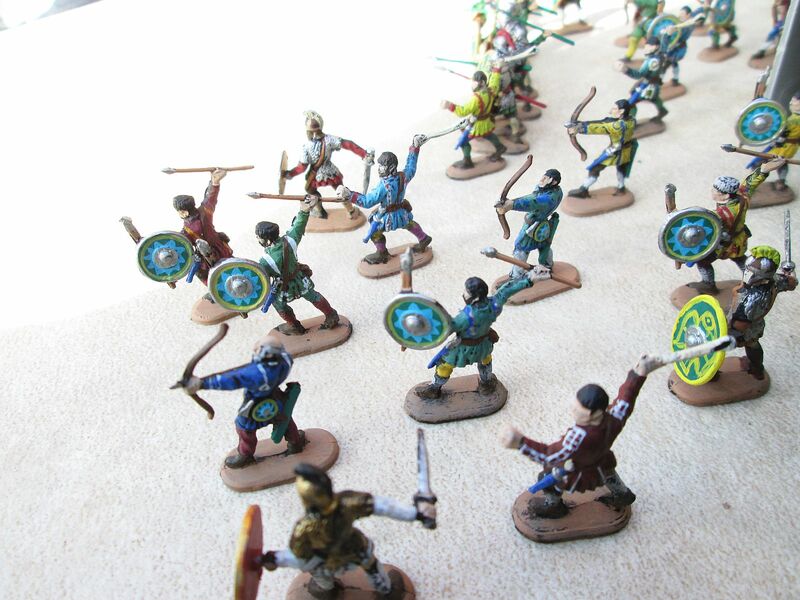 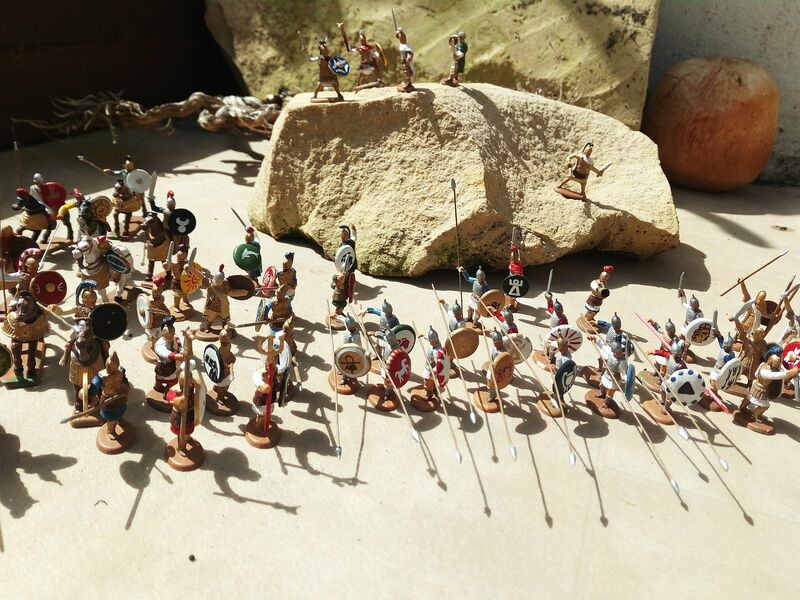 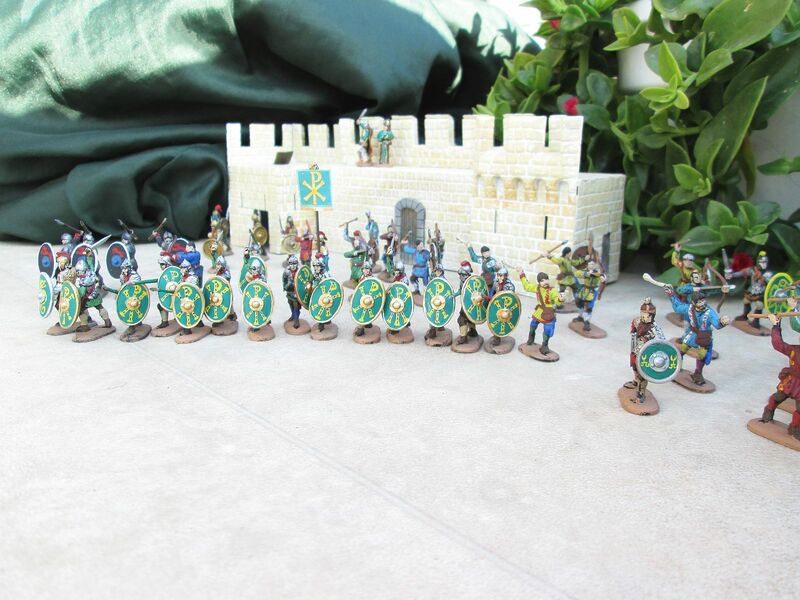 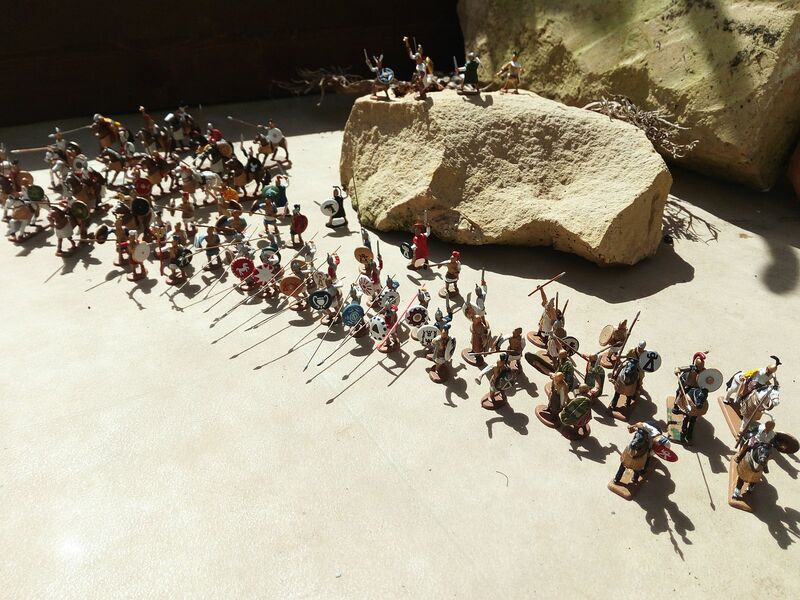 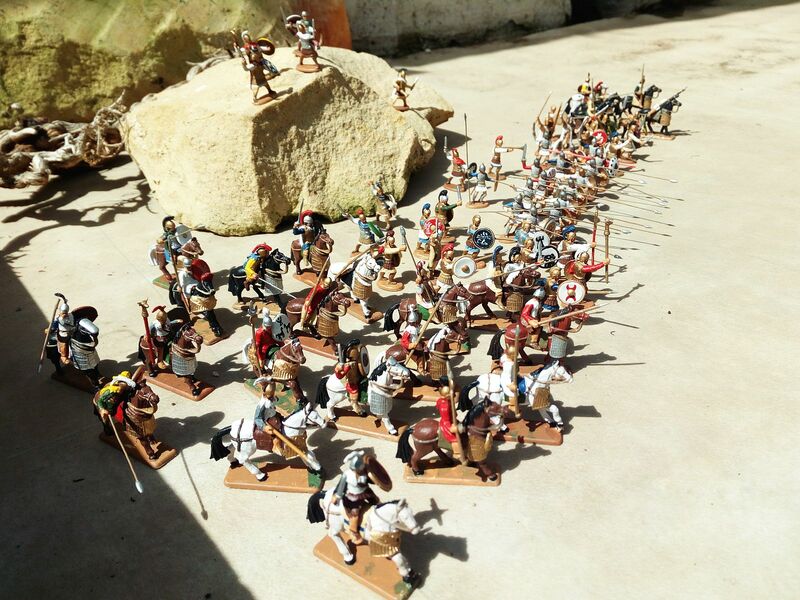 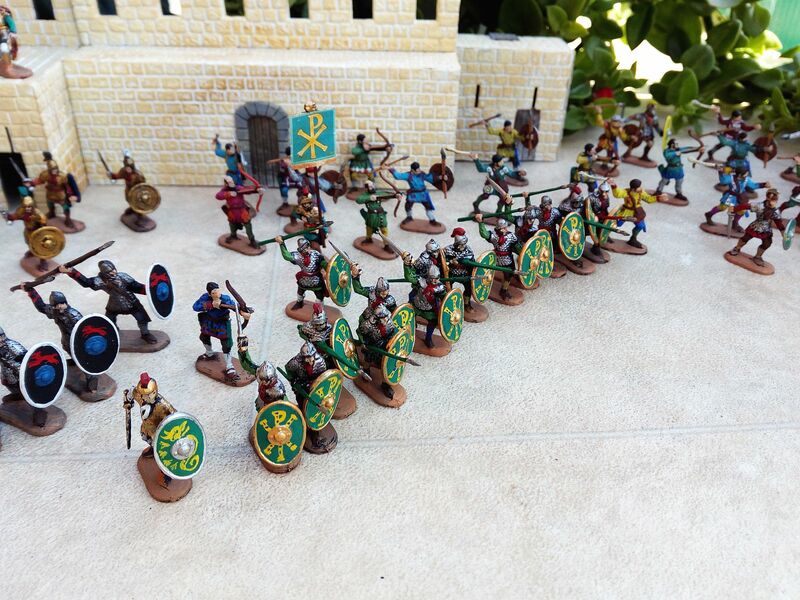 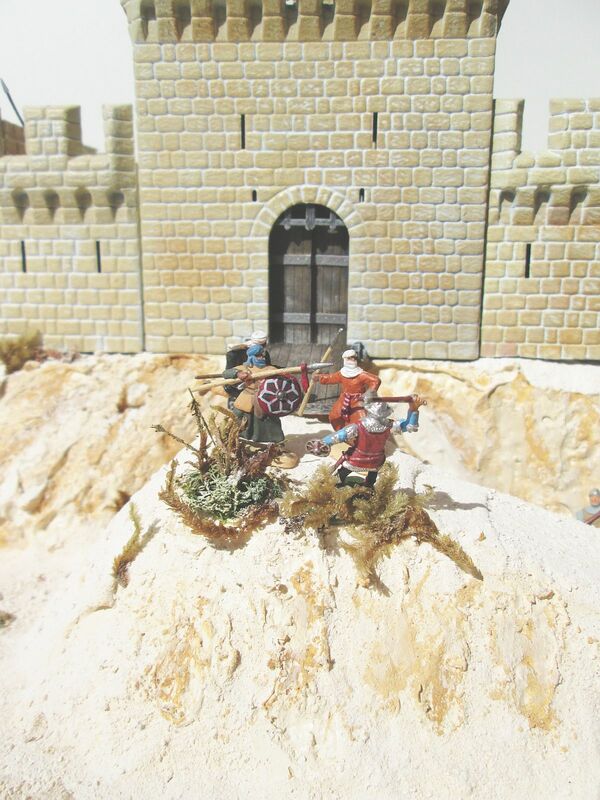 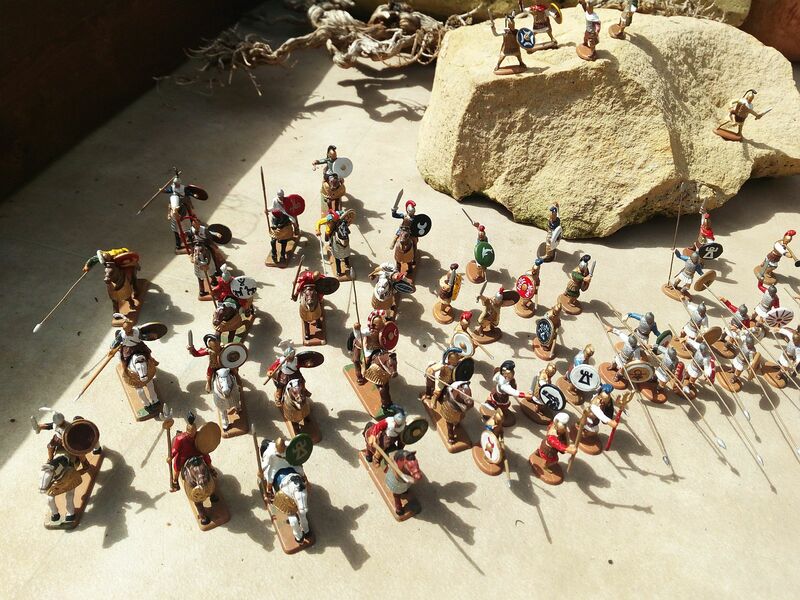 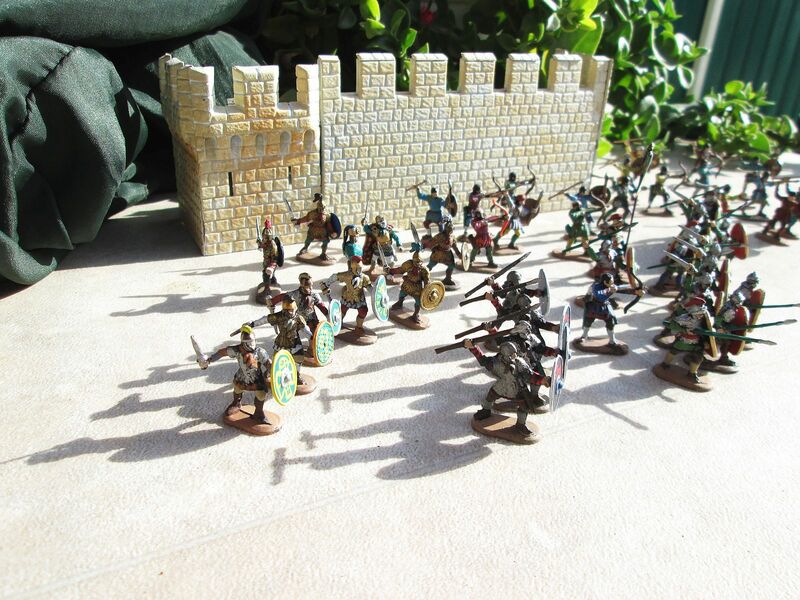 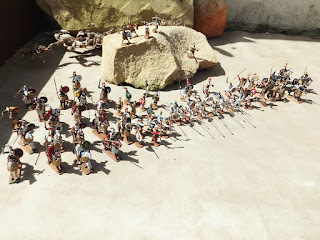 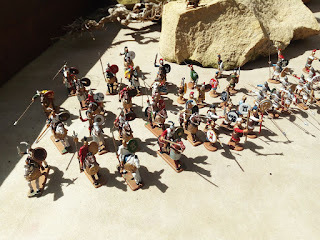 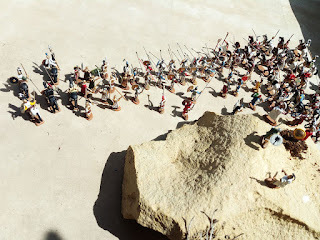 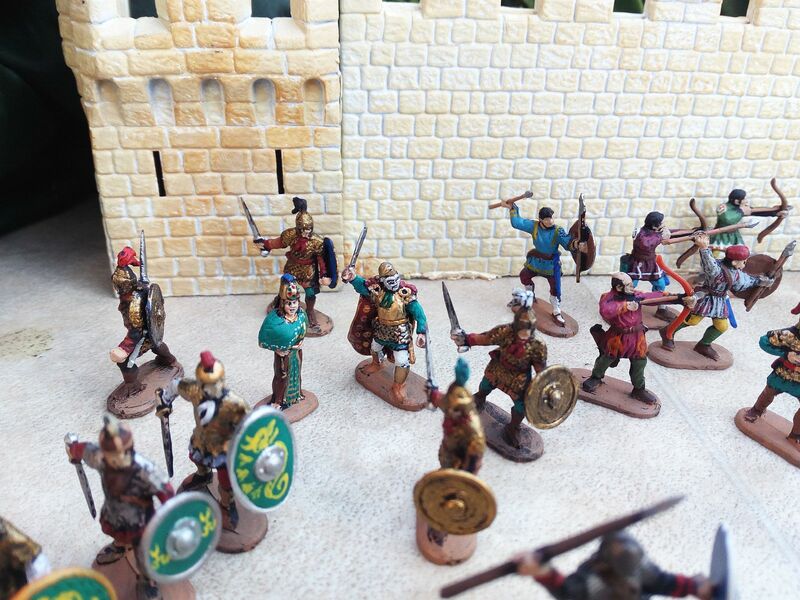 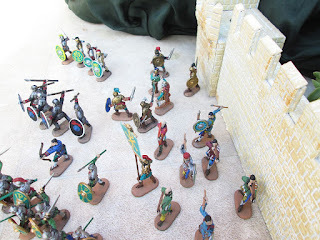 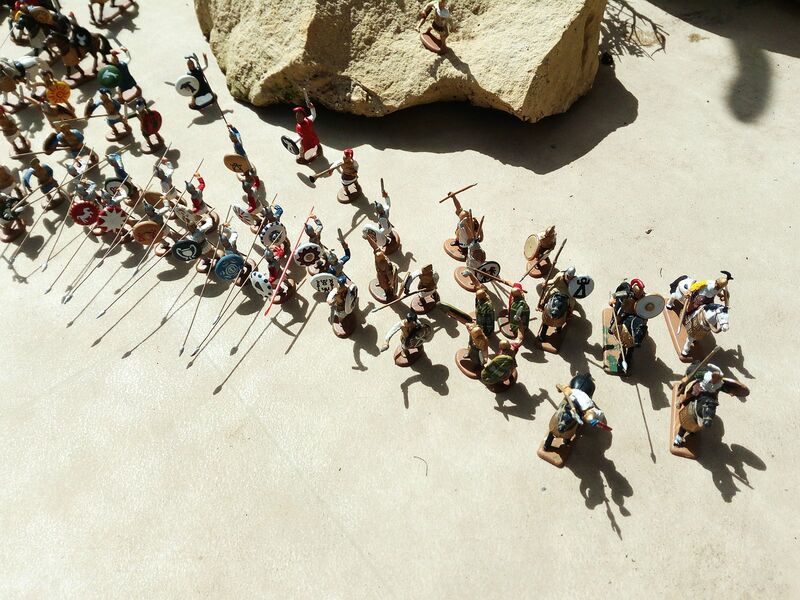 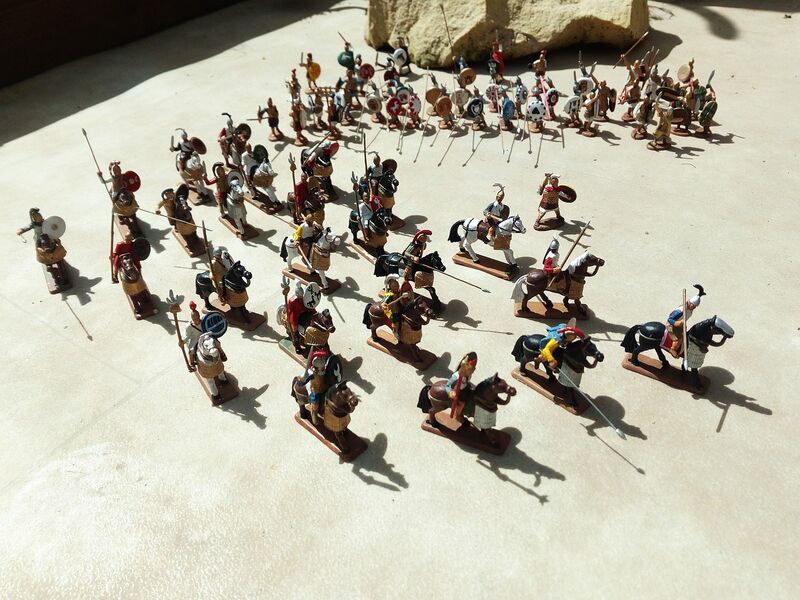 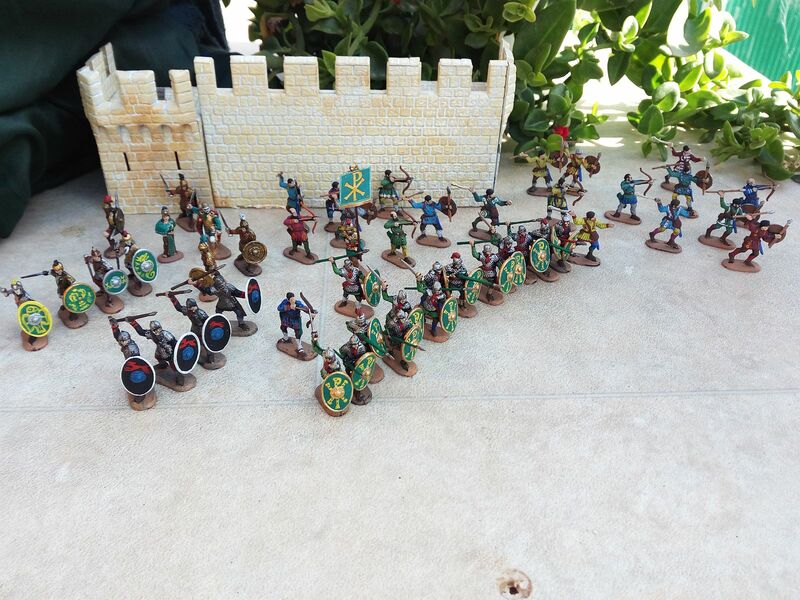 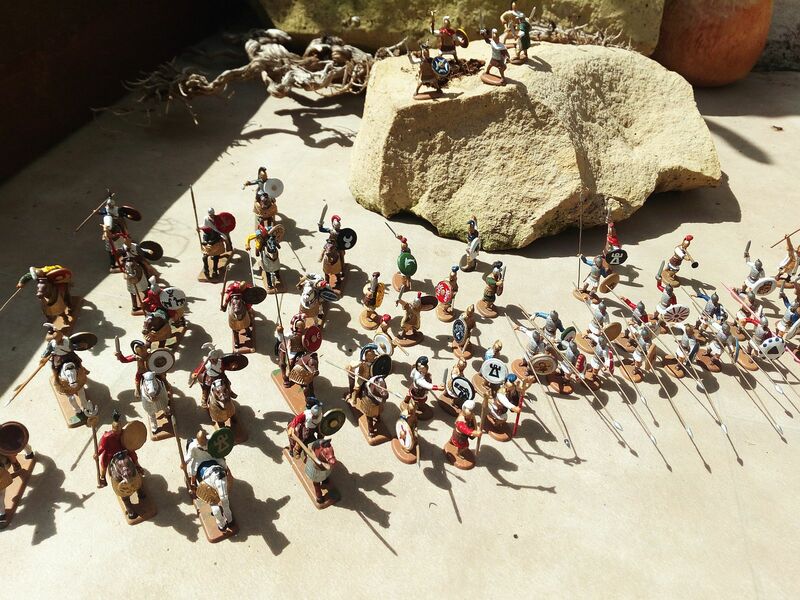 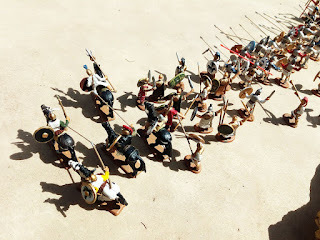 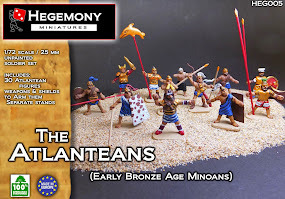 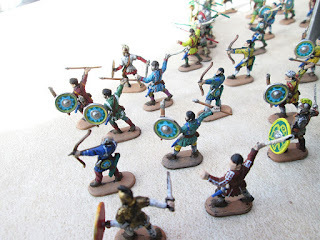 I bought the MiniArt Roman Army, and decided that I had too many figures already in brownish-red, so they had to be painted. After considering many possibilities, I finally went for painting them like Roman Rebels, a bit like the Total War games, in green. 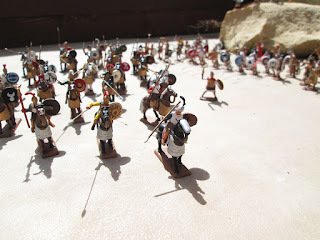 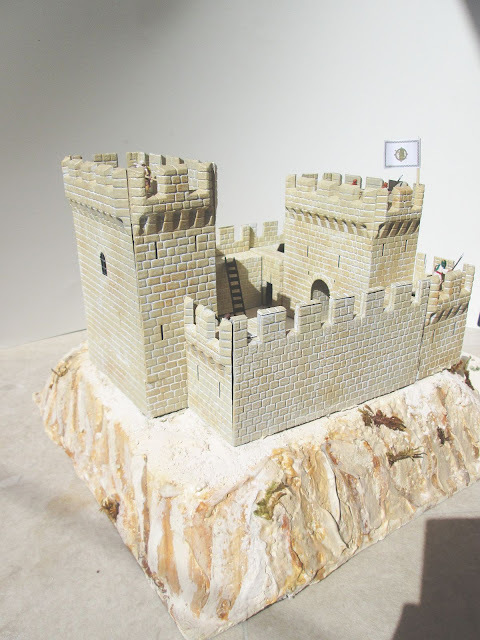 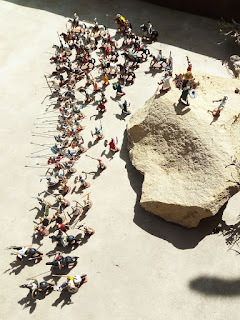 As if they were troops of some usurper in the Eastern Roman Empire, in Anatolia, ready to overthrow the Emperor itself! I got a female figure from the Ancient Christians set of Strelets, and painted as a princess, a sort of Zenobia. 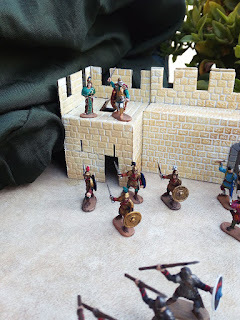 As they had no general, I converted one of the infantrymen to do the purpose. 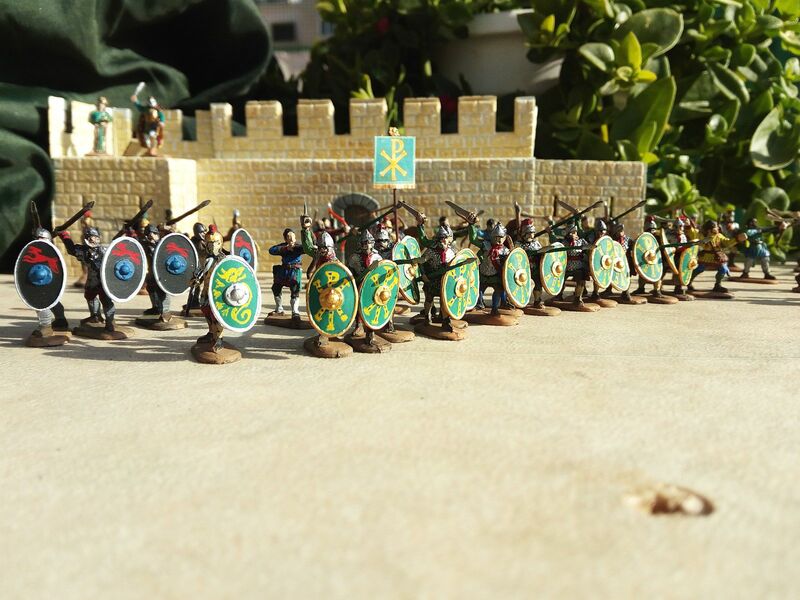 All shields were painstakingly hand painted. Hope you like them. I hold nice memories of these soldiers, as they were a Christmas present. 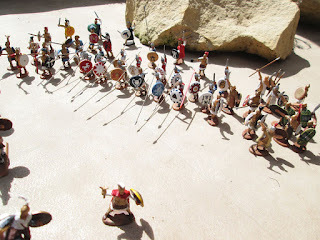 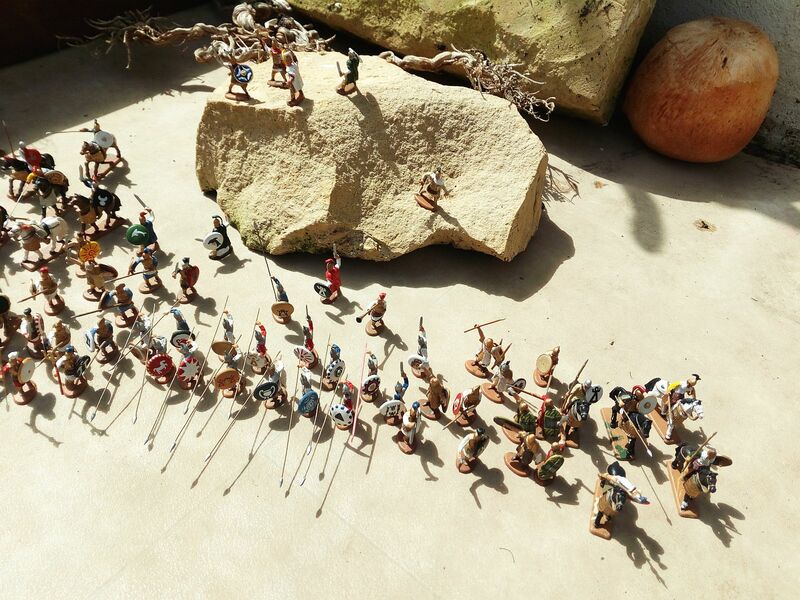 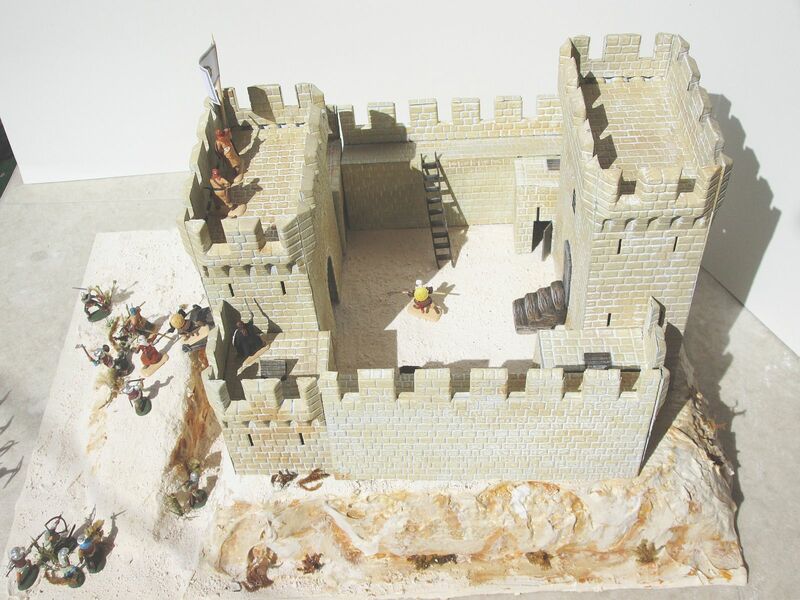 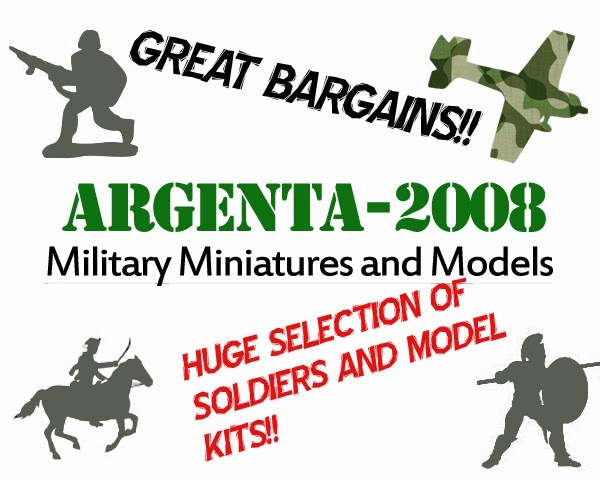 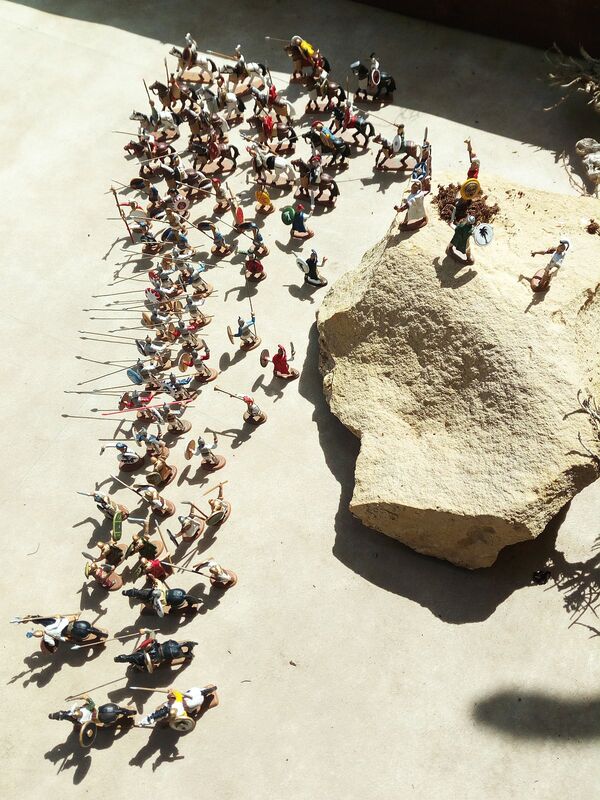 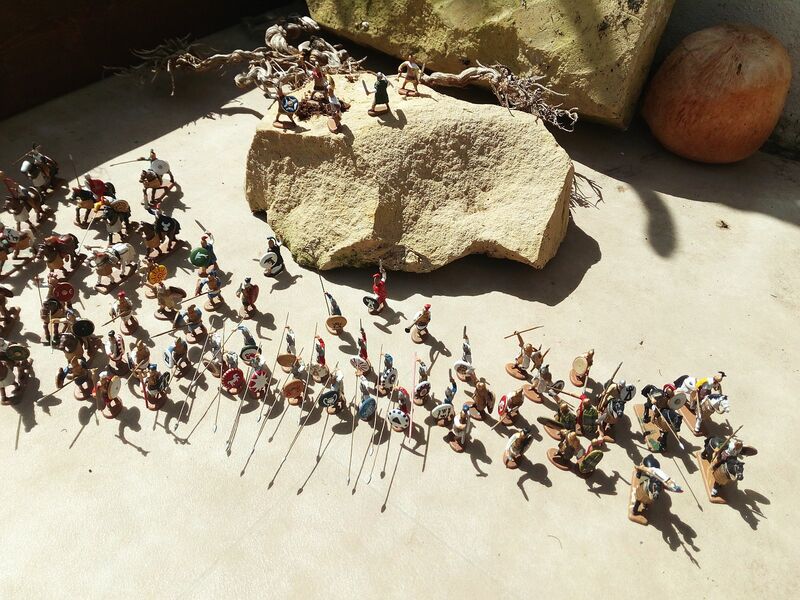 I was amazed to learn that Carthaginian soldiers were made. I always found that the weapon and poses choice and assortment was curious, and after many breakages and strange combinations, I decided to paint them and give a final look to these soldiers. I transformed some of the "Spanish" heavy officers into just Punic Citizen Infantry, as I needed a backbone to my carthaginian army, and I had nearly more Iberian officers than infantry" besides this, they don't look too much like Iberians to me. So, I gave them large spears and transformed them. 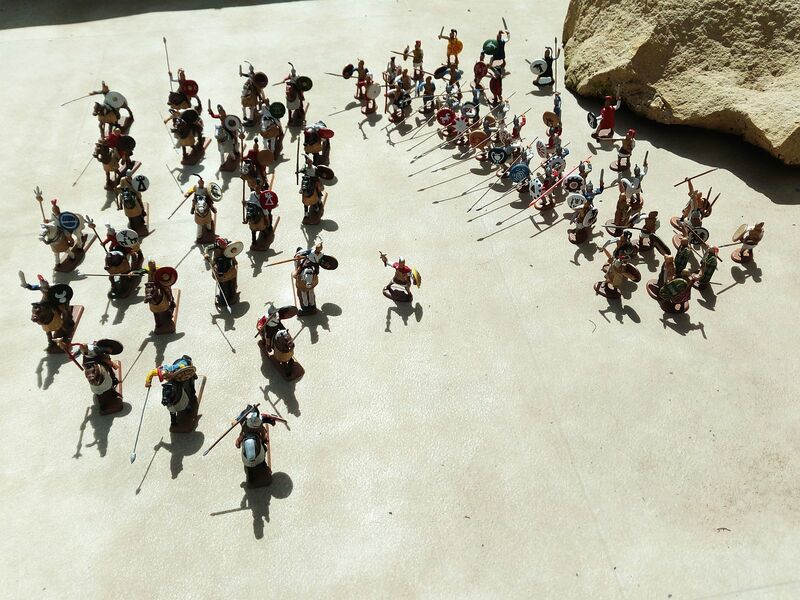 The rest of the spanish heavy officers, the ones wearing the typical Lusitanian cloak, were retained and such and most were given typical Lusitanian shields I made myself, and I made some Falcata swords for them too. 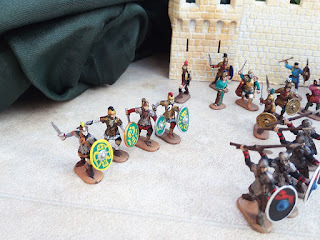 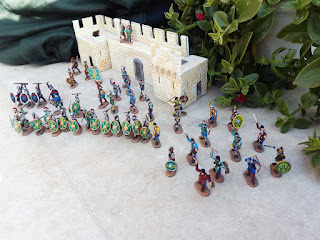 I had to create some swords and borrow some spears, as if not there would have been too many soldiers with ceremonial or parade symbols (I was gifted two boxes of them, so they were the main bulk of my Carthaginian Army). 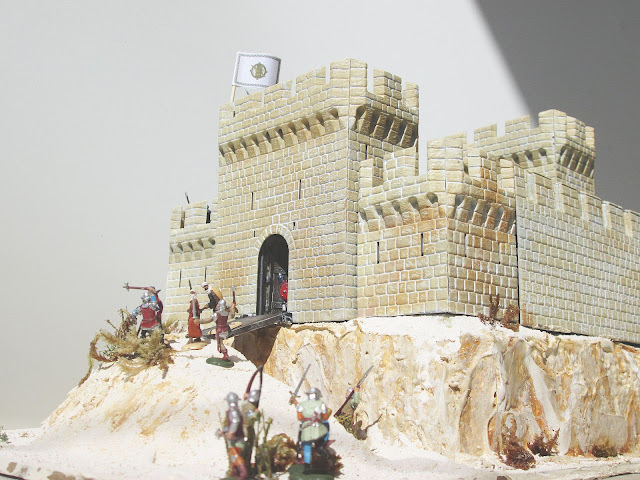 As a side note, this has been my longest hobby-related project in my life. 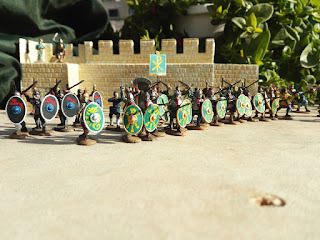 I stopped it in 2004 due to lack of a fine brush to paint the details, and for one thing or another I left it until now to finish them! 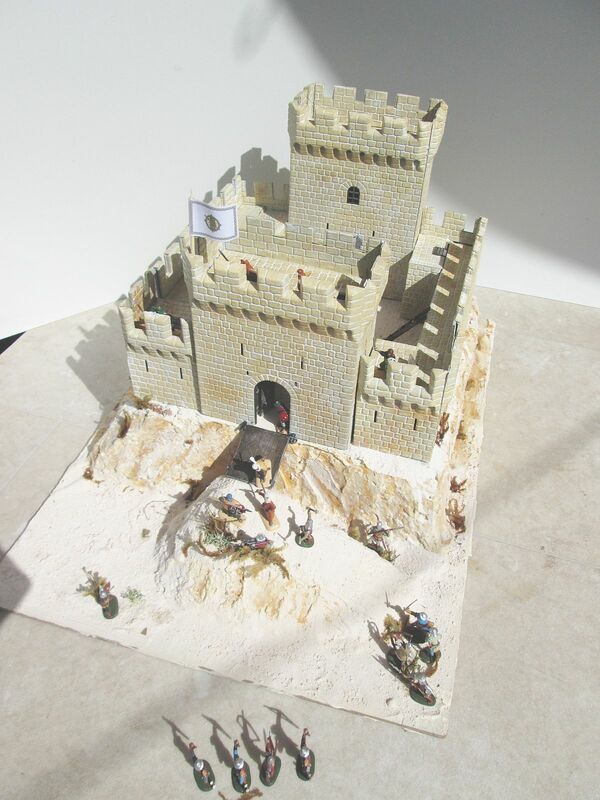 I improved some things when I took the project again too. Among the figures,I modified specially a general to represent Hannibal, the figure with green cloak, and black palm on his shield. Hope you enjoy, and I hope I can give good inspiration to any modeller out there.